I have three closets for clothes storage — two in my bedroom and one in the guest room (which is actually a sitting room . . . where we watch TV). I use the TV room closet for off-season clothes, which means every May and October, there is a weekend of transitioning, where I move things around. I dread this weekend, because it’s physically tiring (to move everything around) and tedious (lots of folding), and leads to lots of “specialized” laundry and more than one trip to the dry-cleaner. looking things over with a fresh eye and thinking of new ways to wear them. I’ve had this dress for years. Perhaps everyone should have a dress like this for summer? It’s raw silk, which is very lightweight, but a little more durable than other types of silk. 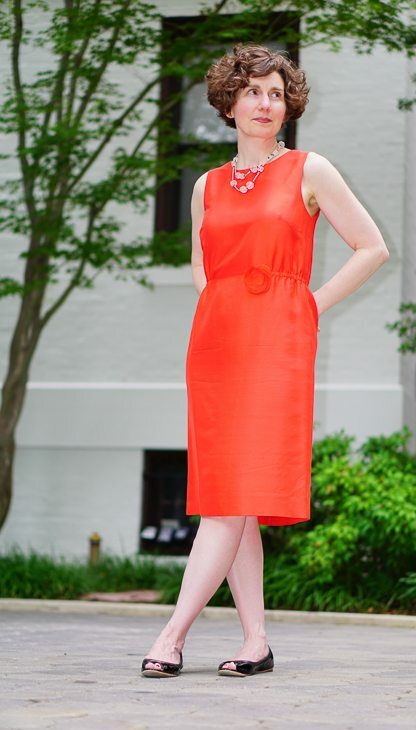 The dress is gently shaped at the waist by a little elastic on the sides — not the least constricting. The dress had on-seam pockets when I bought it, but I had them closed up because on-seam pockets are bulky and with fabric this lightweight, that bulk is noticeable. 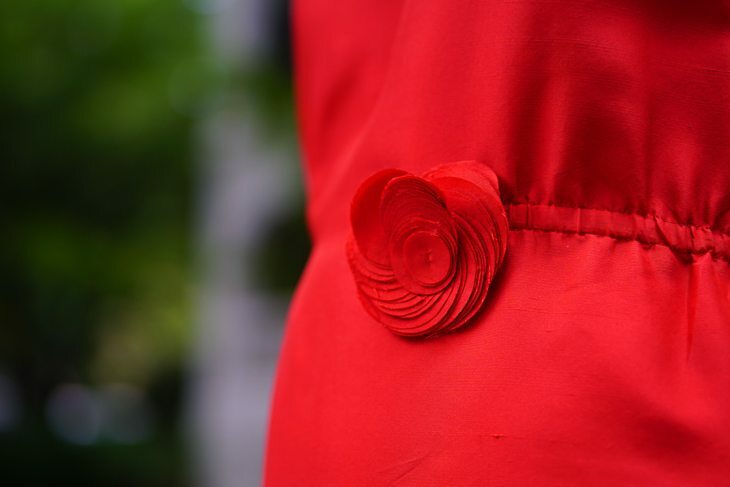 Two things make this dress great: the color and the flower pin at the waist. 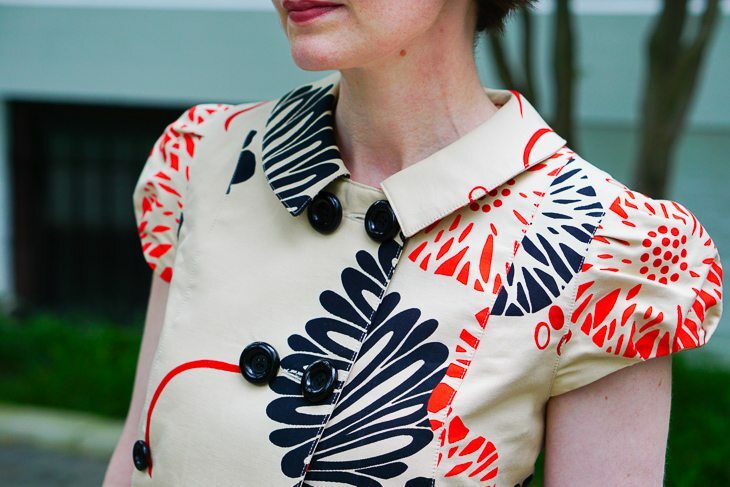 While this pin came with the dress, and is made of the dress fabric, a similar look could be created with any dress and a coordinating pin from Dulken & Derrick in New York. The simplicity of this dress gives it a certain elegance. 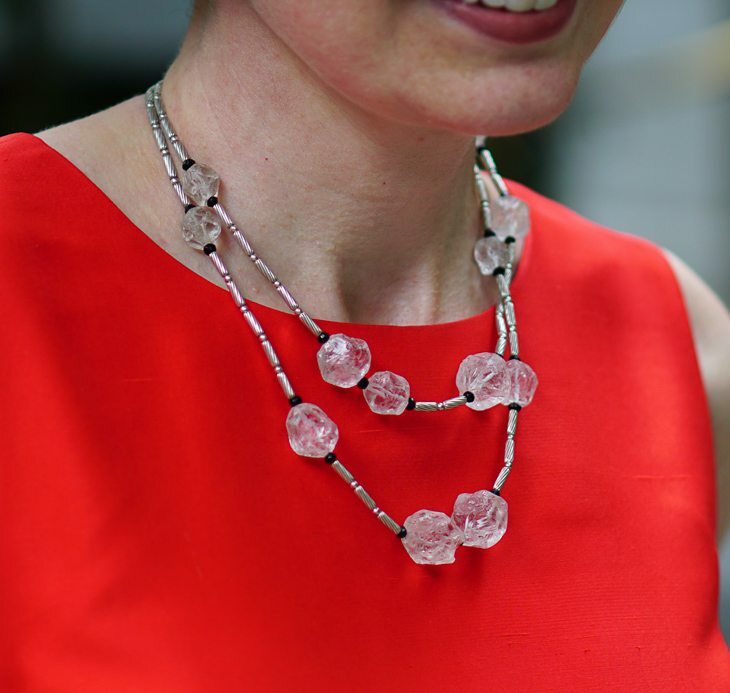 To finish the look, I think a natural stone necklace (rather than pearls or a precious metal) is the right look. This one is rock crystal, but quartz would be nice as would certain varieties of agate. You may now be glancing back up at the title of this post and thinking, Directrice, are you going to lay a lesson on us? Indeed, I am! Last summer I bought this little jacket, thinking I might wear it with a khaki or denim shift style dress, but then I didn’t. You may remember that I am somewhat strict about giving away clothes if I haven’t worn them in a season? When I took the jacket out this summer (as part of the closet change-out), I held it in front of all the dresses and skirts hung in my closet (kind of like a divining rod) and SHAZAM! How did I miss this last summer? 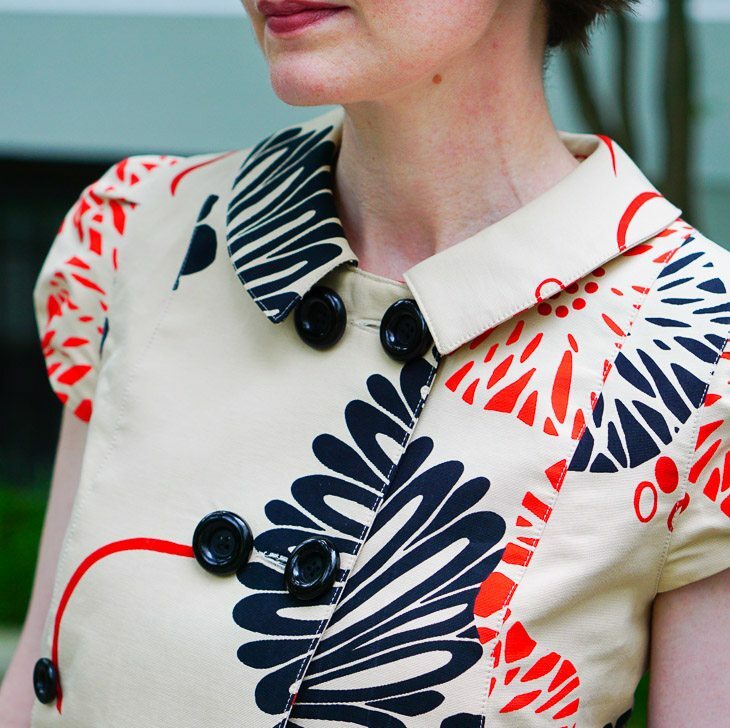 You are inspiring me to look for summer dresses and short, cropped jackets. These two look like they were made for each other! Wow, those two items are dynamite together! I don’t own a single solid color dress and, well, I’m seriously thinking I’ve been missing out. This blog has shown me some creative and appealing ways to wear jackets. Everything you own is so nicely detailed. All your items are so special. This is something I should learn from you.